If you want to show your support for Atari, you'd better not include its name in your web domain. One of the best ways to show a company how much you like them is to make a fansite. If your company of choice is Atari, however, you may want to reconsider. 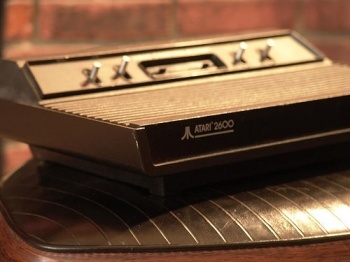 Atari's legal team sent a cease-and-desist letter to Andrew Davie, proprietor of atari2600.org, a site dedicated to homebrew Atari 2600 games. Their reasoning? His website domain cannot legally contain the "Atari" brand name. The site, which first went up in 2000, housed information on Davie's own 2600 homebrew, programming tutorials, a mailing list, and more. Atari does not seem to object to the site's content, but demands that Davie surrender the "atari2600.org" domain to them. Neither Atari nor Davie has reached a final decision yet, but Davie seems compliant for the time being. "Following a 'request' from Atari Legal's lawyer to hand them this domain, and to show my good faith and intentions with regard to their trademark and claims thereof ... I have removed all content of this site," writes Davie on a stripped-down atari2600.org front page. This is not the first time Atari has gone after noncommercial fan projects. Starsoft Berlin, a German Atari 800 homebrew site, came under legal threats earlier this year. The software developer, which has been in gradual decline since the advent of the NES, intends to branch out into mobile and social games. Its domain names will be of paramount importance in the coming months. Atari's legal actions may be sensible from a financial standpoint, but they are not likely to garner much goodwill with the gaming community. The atari2600.org situation should come to a resolution within the next few days.